With cellphones increasingly dominating every aspect of U.S. life, some researchers are wondering what happens when we go cold turkey. Late one night in early December, my cellphone died. I started the ludicrous dance of attempted resuscitation: stroking the blank face, wiggling the charger, holding the power button for long, pleading seconds. In frustration, I hurled it down with all my might — albeit onto the bed, where it would sustain no real damage. And then, close to tears, I suddenly wondered: Did I need it that badly? In an age when 90 percent of young adults cuddle up with their phones and 1 in 4 American homes no longer have a landline, cellphones are beyond ubiquitous. But with potential side effects of over-attachment ranging from anxiety to attention disorders — and with leaders like California Gov. Jerry Brown questioning the necessity of cellphones for government employees — the possibility that there are consequences to our cell-happy culture is beginning to be explored. The rise of cellphones in the U.S. is virtually complete — and entirely understandable. A 2010 study conducted by the Pew Internet and American Life Project found that 82 percent of American adults own cellphones, and of that group 88 percent say their phones make it easier to make plans with people. Part of this is due to text messaging: While just over half of phone-owning adults used their cellphones to send texts in December 2007, today that number has risen to 72 percent. Being able to reach someone whether or not they are at home has also meant a sharp decrease in homes with landlines. Data from the January-June 2010 National Health Interview Survey shows that 26.6 percent of American homes only have cellphones, and of homes with landlines, 15.9 percent report receiving all or almost all their calls on their mobile phones. But our open embrace of the cellphone is not without irritation and critique. More than 86 percent of cell users are annoyed when a peer interrupts a conversation to check their phone or answer a call, and almost half find it annoying to be interrupted themselves by a call or text. Nor are the consequences of constant communication limited to irritation: Research from the Sleep Disorders Center at JFK Medical Center in Edison, N.J., found correlations between the use of phones after bedtime and attention-deficit disorders, mood swings, anxiety and depression. But with the rise of devices the likes of the iPhone and Droid, it has become increasingly harder for kids — and adults — to unplug at night. Cellphones are no longer just for mere communication — they are cameras, computers and entertainment consoles wrapped into one. 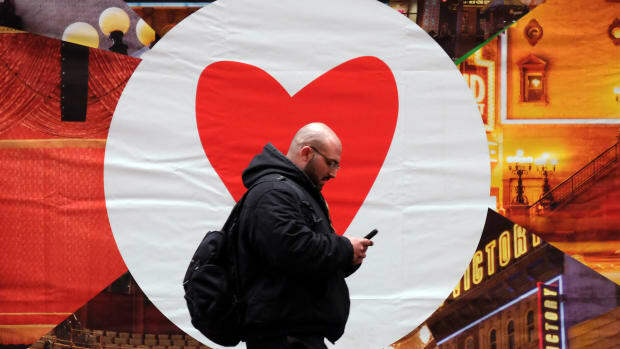 With these dueling levels of appreciation and irritation surfacing in regard to cellphones, the questions remain: Are we addicted to our phones and why? Part of the answer lies with the younger generation who, in addition to their own habits, have a dramatic effect on the cellphone use of their parents. Some 90 percent of the parents surveyed in the Pew study had cellphones, and they used them more often than non-parents for calling and texting. Meanwhile, teens and young adults automatically turn to their cellphones in moments of boredom — 69 percent agreed with the statement “When I am bored, I use my cellphone to entertain myself” — and while this seems natural in the age of endless applications, it breeds a dependence on phones that can be startling. Nothing else to do — or not used to existing without the constant stimulation a cellphone can provide? When I had to wait two weeks before getting my phone replaced, I rediscovered the novelty of many things (staring at people in passing included). Yes, it was an inconvenience not to be able to contact people on the go, but video chatting and Skype made it easy enough to stay in touch with family and friends. And though I breathed a sigh of relief when I finally had my cellphone back in my hands, there was something in knowing that if I had to, I could go 24 hours without it. Sara Barbour is a project coordinator for National Public Media, the media sales division of NPR and PBS. She was an editorial intern with Pacific Standard in 2008. Talking on your cell phone can distract you from your surroundings — even if they include a unicycling clown. What we text about when we text about text. OMG UR Phone Knows UR Texting + Driving! By analyzing keystrokes of cell phone texters, researchers have developed a way to keep drivers’ hands on the wheel and off their mobile device. The administration’s latest dot-gov wants American drivers to focus on the road. But how will the populace react to chiding while driving? As past Miller-McCune articles have shown, driving while using your cellphone is a bad idea, and the U.S. government is doing its best to make sure you can hear that message now. A sense one’s life has meaning increases one’s allure in social situations, according to new research.